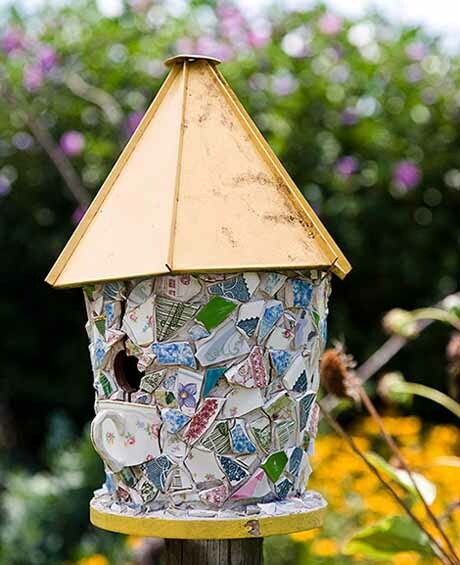 Get your kids out into the garden with these cute distractions – tic tac toe, complete with ladybirds and dragonflies; a fun mosaic birdhouse, with a teacup handle perch (the kids can help decorate this one); and a rustic, living treehouse. 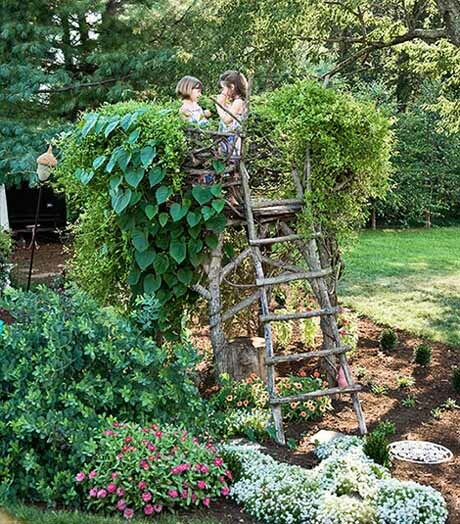 The latter makes a great climbing frame for all sorts of climbing edible plants, including peas, grapes and cocktail kiwifruit. 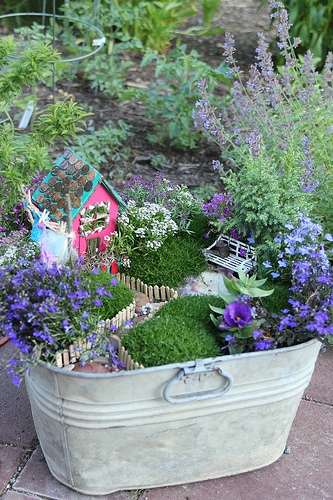 Here’s a clever idea to get tiny tots into the garden. 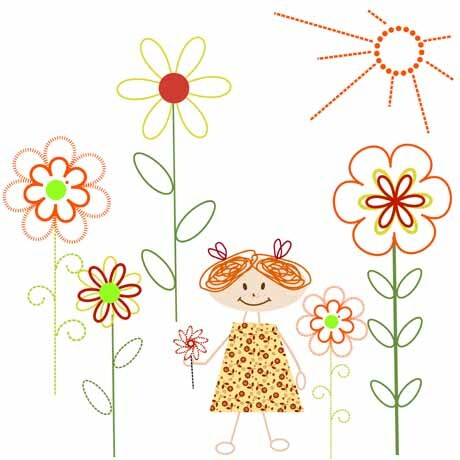 Let them decorate their own play area. 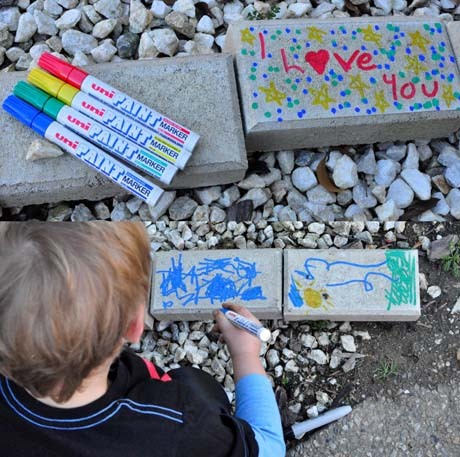 The super smart Kelly, from Be A Fun Mum, came up with the clever notion of drawing on pavers. 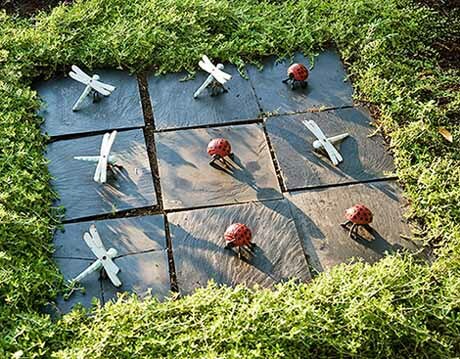 Last time I checked, pavers like these cost a mere 90c each, and you can easily find them at your local DIY store. 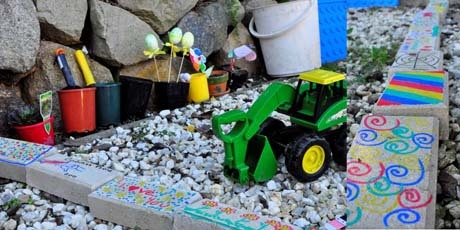 Add a few toy trucks, and a smattering of pebbles for cross-country trucking, and you have an instant play garden. 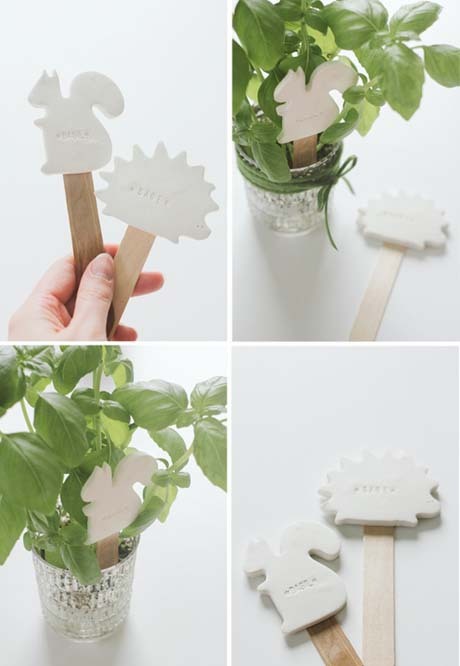 Here’s a fun activity for little green thumbs: lettuce patch labels and carrot crossing markers. They’re all dead simple to make. All that’s required is a little artistic flair. 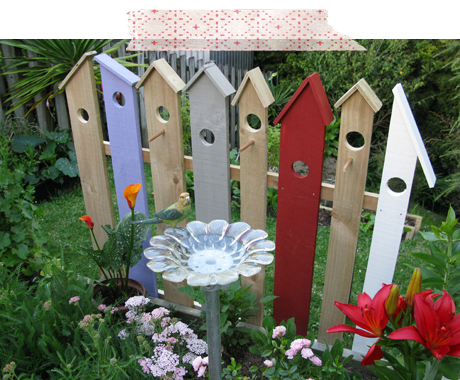 Get the lowdown on how to make the carrot crossing markers here; the painted rocks in the middle photo can be found over at Whimsy Love, along with some other crafty ideas; the wooden plant labels, illustrated by Suna and beautifully sanded by young Cyrus, can be found over here.